You have a variety of cabin charter cruises to choose from. On the catamaran "Cataleya" you can visit for 6 days the islands in south Thailand, like Phi Phi, Raya, Rok Nok and Koh Lanta, or sail to the Mergui Archipelago for 9 days. This yacht is also available for fully crewed yacht charter (private cruise). We have also luxury cabin charter cruises for scuba diving enthusiasts available. Spend 6 to 10 days on a classic sailing yacht "Diva Andaman" and explore top dive locations in Thailand and Myanmar like Mergui Archipelago, Similans, Phi Phi, Koh Lipe and Raya islands. Under professional guidance you can explore the underwater world of Andaman sea and dive so much you wish. With a small group of max. 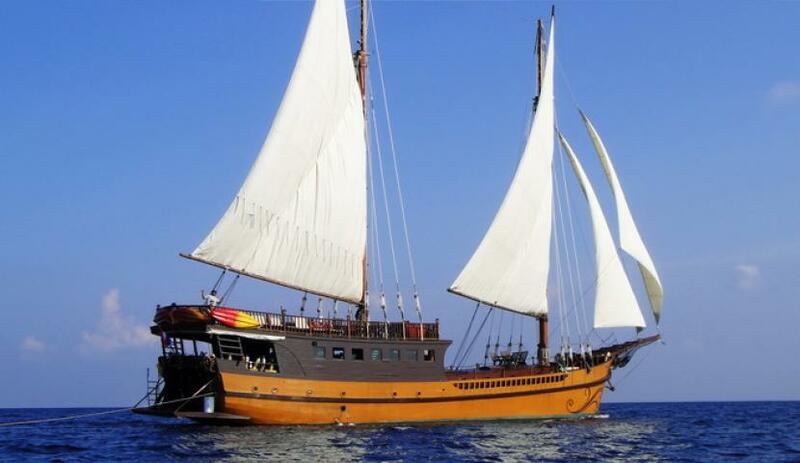 15 people on this luxury schooner of 35 meter length you will have a lot of space for privacy. Every cabin on this luxury sailing yacht is with air conditioning, bathroom and LCD screen. This yacht is also available for fully crewed yacht charter (private cruise). The most of the sailing cruises are available only during the high season (November to April). Which cruise you ever choose, you can be certain that each will be just as enjoyable as the other.